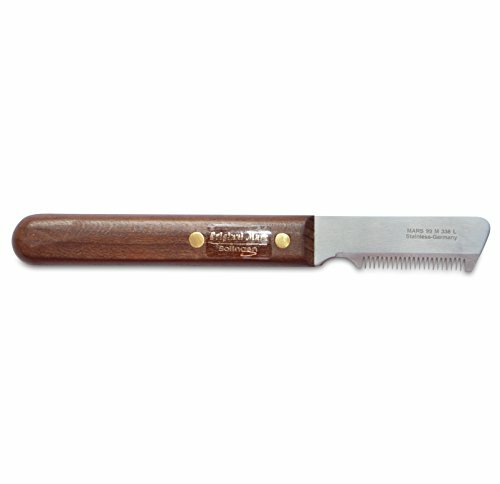 This Left-handed-Stripping-knife consists of a high-grade steel blade, rust free and hardened. The fine teeth are designed to be sharp . A fine wooden handle made from Bubinga red wood, naturally FSC (sustainable forestry) certified, fits optimally for the high-quality appearance of this stripping knife. This stripping knife is designed for the removal of undercoat. Made in Germany.